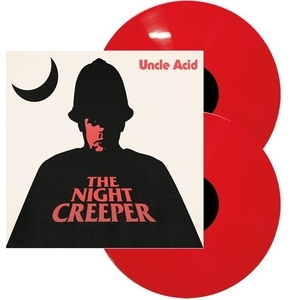 "The Night Creeper" is the new album by Uncle Acid & the Deadbeats. Contained within are ten tracks of the type of sonic psyche-frazzling heaviness and blood-drenched pop that have made Uncle Acid & the Deadbeats one of Britains great cult bands. Recorded at Toe Rag studios in early 2015 with engineer Liam Watson (White Stripes, Tame Impala, Electric Wizard), their fourth opus "The Night Creeper", finds the quartet in full-on deatripping, third eye-widening mode. 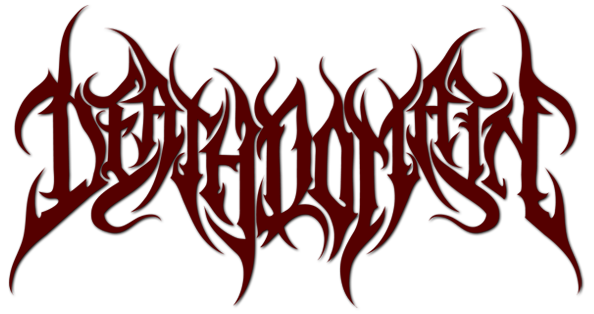 Here songs ooze louche evil over flesh-melting riffs that creep like hot magma bubbling up through the earths crust at their own malevolent pace. This album is in no hurry to destroy you. But it will. It will. In an age when the word is over-used, Uncle Acid are indeed a true cult. Everything they do is covert, their movements crepuscular, the loyalty they inspire fervent. Every sneering melody and every piece of artwork is loaded with meaning, designed to be pored over. Their press coverage is deliberately limited but doesnt prevent them selling out US tours or joining Black Sabbath at their personal request. They only reveal what they want to reveal: chiefly that Uncle Acid & the Deadbeats began as a studio project circa 2009 in Cambridge, the wild concept of Kevin Starrs. The rest is academic. 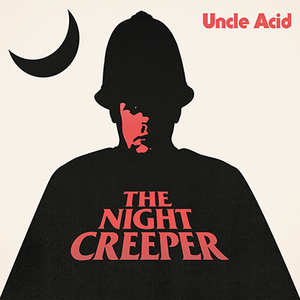 And now comes "The Night Creeper", Uncle Acid & the Deadbeats darkest journey yet. Notis: Det medföljer ett häfte i LP storlek.